Sometimes it happens when you're looking through an old family photo album. Other times the thought may come with the smell of a tasty treat baking in the oven. Or maybe it comes later, during the act of hanging an ornament on a tree. But something will eventually trigger the words, "OK, now it feels like Christmas." Charlotte's OnQ Productions is in its fifth year of triggering that holiday thought locally with its original musical revue A Soulful Noel — a program of Christmas classics and originals, remixed and reframed as R&B, soul, funk and gospel. The revue — which last year went viral when the cast performed some of the songs on The New York Times' Facebook video feed — will take over Uptown Charlotte for three showings at the McGlohon Theater at Spirit Square on Friday and Saturday, December 15 and 16. 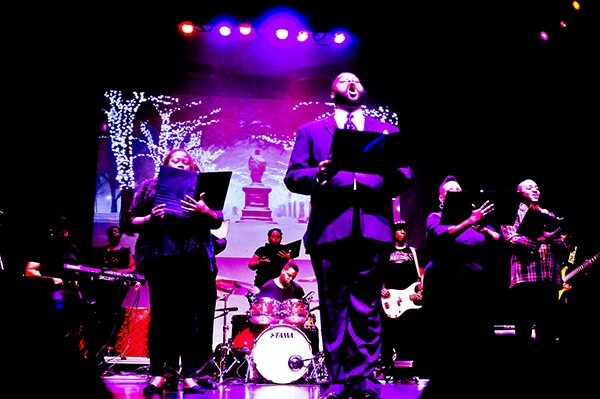 The show's director, OnQ Productions founder Quentin Talley, came up with this novel musical revue as a way of celebrating Christmas through the lens of black families, who gravitate to holiday music by James Brown, the Temptations or the Jackson 5 over Bing Crosby, Elvis or the Beach Boys. "You get classic Christmas songs like 'What Do the Lonely Do?,' 'Santa Claus Wants Some Loving,' 'Santa Baby,' 'This Christmas,' 'Some Day at Christmas,' and all those Christmas songs that really speak to the black experience and performed by black artists," Talley says. 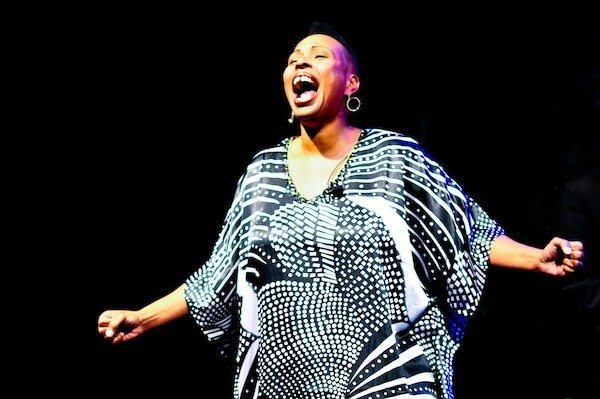 OnQ Productions has been on a mission to produce educational classic, contemporary and original performances that reflect the black experience since 2006, but a Christmas performance would not become a part of its seasonal offerings until 2013. "The funny thing is, I am not a big Christmas show fan," Talley says. "So, I wanted to make something I, too, would enjoy if we were going to do this." He launched A Soulful Noel just as OnQ Productions was transitioning into a nonprofit organization. "Since Christmas shows always do well, and this is a great time of year in the [theater] production season, we wanted to create something dedicated to the black experience," he says. Talley tapped drummer Tim Scott Jr. as musical director from the get-go. "I remember when he first mentioned the concept," Scott says. "He called me and asked if I was down and I said absolutely. Q has always been really good at having these great visions. It is always fun to sit down with him to figure out ways to bring his visions to life. So, with my knowledge and understanding of music and his creativity, we have been able to create something special. It is just a real cool spin on all the songs." The two work with Charlotte musicians to create one-of-a-kind musical moments during each year's shows. During last year's production, they transformed the jazz standard "My Favorite Things," made most famous by North Carolina-born saxophonist and free-jazz pioneer John Coltrane, into a dance-music show-stopper. Scott fondly remembers the performance by longtime OnQ cast member Kenya Templeton. "We had a special moment with Kenya. We did a really dope house version of 'My Favorite Things,' and it drove people crazy," Scott says. "The song was over and the band kept playing, then Kenya had to come back out on the stage to do it again! Q also had to come back out on stage for the encore. It was crazy." One recurring moment people can always look forward to is Talley's own funked-up rendition of "Little Drummer Boy." "We call it the 'Funky Drummer Boy.' We just play it in a James Brown funk style and Q then starts doing all kinds of theatrics," Scott says. "He's throwing the mic stand. He's doing splits. The band does solos." Scott pauses slightly, reflecting on his memories of past performances. "It creates a really dope moment during the show." This year Scott expects more such special theatrics from Grammy-nominated artists The Hamiltones and emerging local singer Kevin "Mercury" Carter. 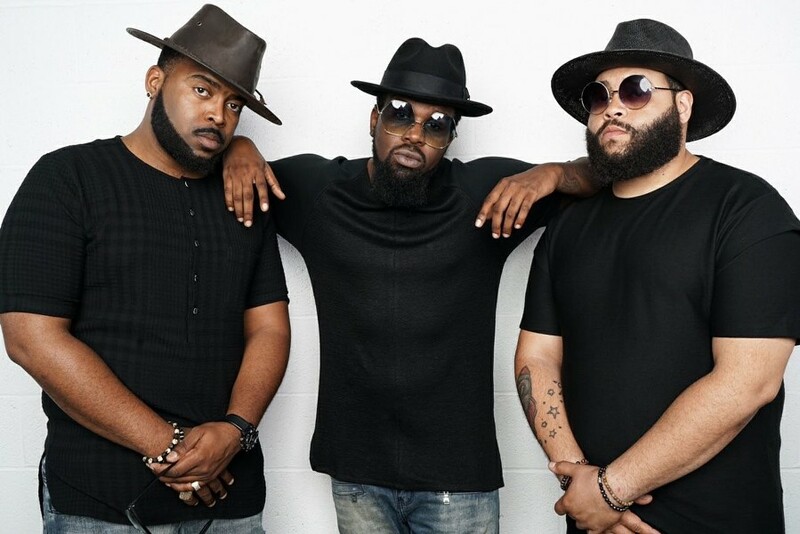 The Hamiltones — 2E, J. Vito, and Tony Lelo, the trio of singers who back Charlotte soul sensation Anthony Hamilton — are known for spinning mundane phrases and trending pop-culture topics into soul-music earworms. The three have made a name for themselves with their soul-driven viral video performances in addition to their background vocals with Hamilton. For their Soulful Noel performance this year, the Hamiltones will premiere songs from their upcoming holiday album, A Hamiltones Christmas. When it comes to Mercury Carter, Scott is looking forward to hearing the young singer's utterly original, opera-meets-R&B vocal vibe paired with the live-band arrangement of "Silent Night." "The cool thing is going to be combining that arrangement for the song with what he personally brings to the arrangement," Scott says. "That is where the magic lies with that song, and with all the songs. "The goal of A Soulful Noel is to create an experience for people," Scott continues. "We don't want people to come out of the show feeling like they listened to regular Christmas songs, which is something they could just do sitting at home." The production did not start out as a musical revue. A Soulful Noel went through several iterations during the first couple of years in order to identify the best storytelling method for sharing the black Christmas experience with its growing fan base. "When we first started, it was a hybrid of spoken word, dance, monologues and songs," Talley says. "And that format did pretty well, but it seemed like [audiences] enjoyed the music the most. "We tried it again for the second year," he says. "We got the story a little bit tighter, but again, it seemed like people just kept talking about the singers and the music." Scott understands why audiences kept coming back for the music. "From the time we are kids, Christmas music has always been about conveying a certain spirit for us," he says. "I think that as we grow into adulthood, when we hear certain Christmas songs, it's about getting that feeling back. Regardless of what your belief system is, there is something about this time of year that you don't really always feel throughout the year. So it is really about recreating that feeling." 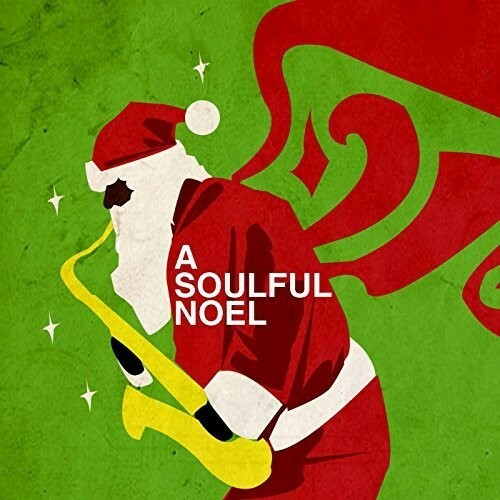 "A Soulful Noel" album cover. By 2015, Soulful Noel's third year, Talley and Scott decided to transform it into a full-on musical revue with a digital holiday album to go along with it. The album is what brought the opportunity to showcase A Soulful Noel at the offices of The New York Times last year, when the cast was invited to perform a selection of songs on The Times' Facebook live-video feed. It got more than a quarter-million views. "It was a great way to introduce the world to the Charlotte art scene," Talley says. This year, Charlotteans have three chances to get acquainted with its own art scene at one of the live productions of A Soulful Noel at McGlohon Theater. Talley explains why you should consider checking out what a quarter-million viewers across the globe saw last year. "We have some phenomenal musicians and singers in the Charlotte area," Talley says. "They take Christmas songs, turn them on their head, and make up their own arrangements. It is just a beautiful time. [Even] if you don't like Christmas shows, you will love this one, because it is not your normal Christmas show."